We’re conveniently located 10 minutes east of downtown Spokane. 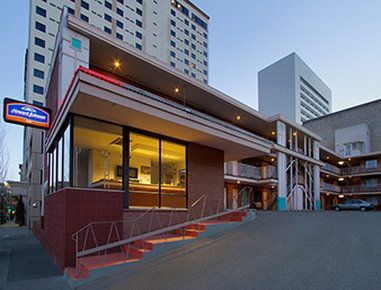 Just a block from the Spokane Convention Center, restaurants, shopping, and attractions. Conveniently located right in the heart of downtown Spokane. The 100% smoke-free Comfort Inn University Hotel is located in the heart of the business and university district. Amidst some of the West Coast’s most beautiful natural landscapes, Spokane, Washington has a true charm all its own. With a little something for everyone, Spokane offers visitors a wealth of things to see and do including award-winning wineries, dynamic restaurants and bars, fascinating museums and art galleries, pristine golf courses, live music and theatres, and fun-filled outdoor recreational activities for all four seasons.